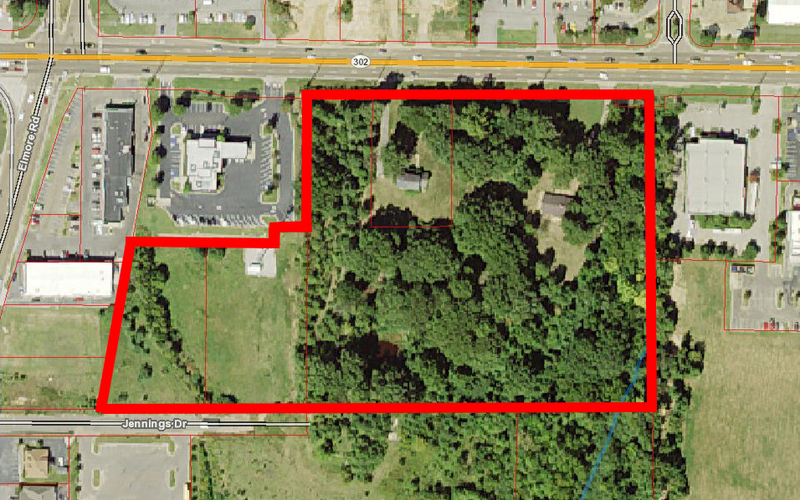 12 +/- acres of commercial property for sale located on Goodman Rd. in Southaven. Intersection of Goodman Rd. and Elmore Rd. 38,000-39,000 cars per day traveling in front of the site along Goodman Rd. Site features access to Elmore Rd via Jennings Dr which is constructed into the east property line. This gives the property easy access to Church Rd via Elmore as well as to Goodman Road via the existing traffic signal at Goodman/Elmore. Existing retail businesses in the area include Sam's Club, Kohl's, Lowe's, Old Navy, Gap Outlet, Wal-Mart, and Office Depot. Located in the midst of numerous neighborhoods including those geared to Senior Citizens, patio homes, typical single family homes and larger acreage estates.